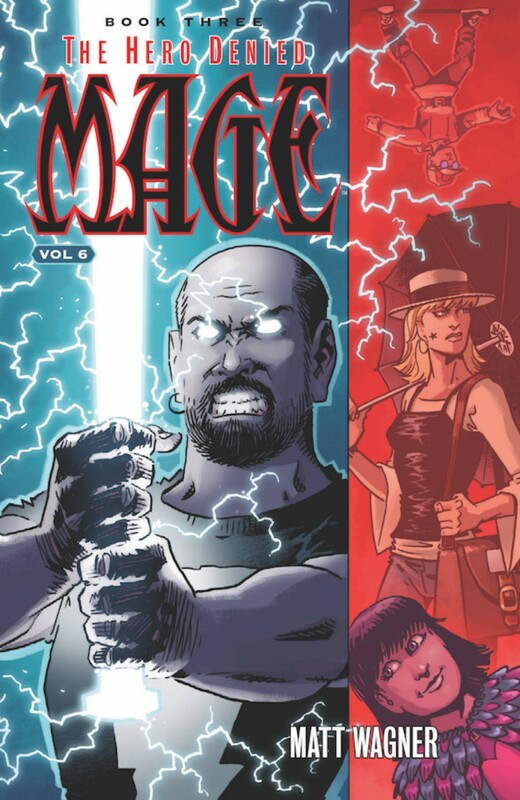 The last of six volumes collecting MATT WAGNER’s epic, modern-day fantasy trilogy, MAGE-BOOK THREE: THE HERO DENIED is the long-awaited conclusion to the saga of the reborn Pendragon, Kevin Matchstick. After his mystical enemies destroy his home and kidnap half his family, Kevin must return to his heroic path and again draw forth the power of Excalibur. Will the long-prophesied third Mage finally appear at last? Or will the Pendragon’s fear for his family’s safety leave the mysterious Fisher King a victim to the sinister schemes of the Umbra Mother and her Gracklethorns?